Altar Records is very proud to offer you the latest compositions from Akshan, wrapped up in a Deluxe Digipack with a beautiful design by Aleksandar Zlateski and DJ Zen. After 5 years of silence, while in the meantime, Akshan left us with his deeply enjoyed first album “Tree of Life” which was crafted of delicious ambient and down tempo tribal grooves. Shortly after this album, his landmark album “The Rise of Atlantis” was released. Today, the master is back with another conceptual album! This time we'll dive into the dualism of life, the coexistence of opposite forces and thoughts that drives all forms of life on Earth. The subject is vast and was masterfully designed in a fieriest auditory experience by our dear French artist. 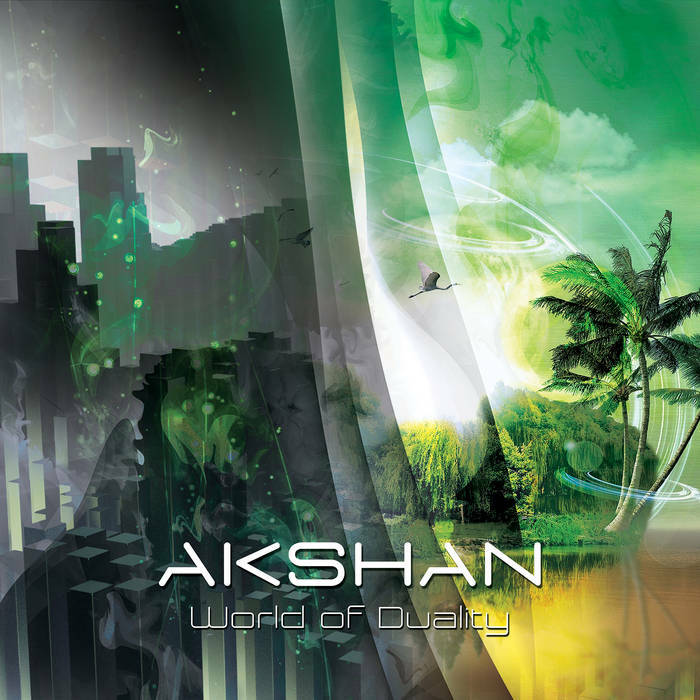 "World of Duality" was in the making over 4 years, and again certainly proves that Akshan is way ahead of his pals with his talents, as he crafts us with his own unique beats, ambiances and melodies. This album sweats true maturity and it seems that Akshan became aware of his dual nature, while he began to transcend it and was able to express his feelings through the music. His sound is one of a kind and like a lone angelic knight opening new horizons for us to discover, he amazes us again! "Duality is an essential feature of the human mind. Our mind makes use of duality to understand the world, to make sense of it. Had our mind not been dual, I don’t think we could ever possibly describe the world around us. There would be no language, no words, no measurements, nothing. The mind is what it is because of duality." &#9834;&#9835; W&P by Akshan, France.